Manchester United flattered to deceive several times this season as the highs of reaching the top spot in the Premier League and winning their first major trophy since the retirement of Sir Alex Ferguson proved to be small comfort for a team that fans expect much better from. Manchester United’s turbulent season was one which often raised hopes only to bring them crashing down. A fifth placed finish — behind arch rivals Manchester City on goal difference — and the FA Cup is all the Red Devils have to show on the domestic front. Their European campaign was even more ignominious, as they scuppered the chance to qualify from one of the easiest UEFA Champions League groups and then were knocked out of the Europa League by none other than Liverpool. United started their season by welcoming Tottenham Hotspur to Old Trafford and it was a lacklustre affair, but little did the fans know that this was what they had in store for them all season. 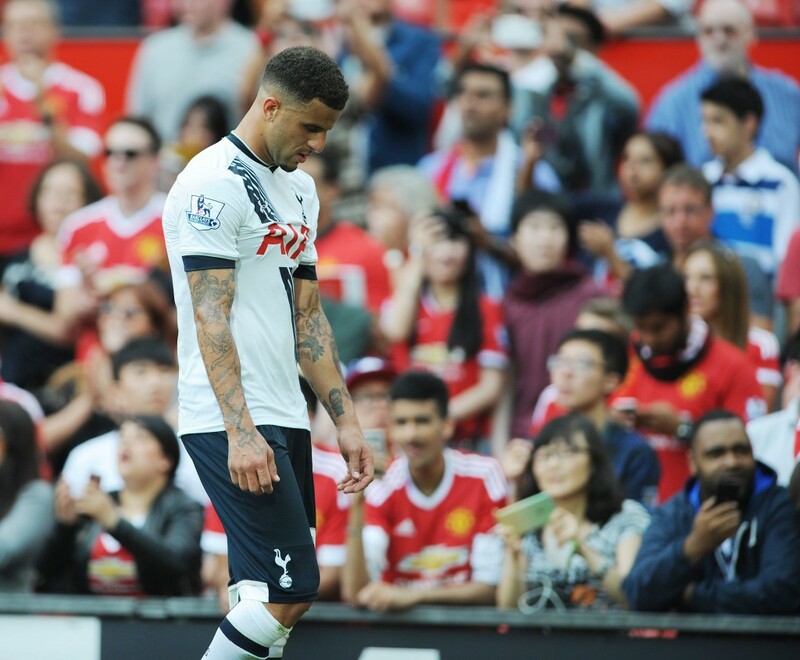 After few attempts on target, Spurs defender Kyle Walker drove the ball into the net to give Man United their first goal of the season and a 1-0 victory. This result would go on to be a fixture of their season, as 10 of their 38 matches were decided by this narrow scoreline while the team engaged in a slow, plodding style of play that provided absolutely no excitement or intrigue. Manchester United started the season on a slow burn and although the tactics of Louis van Gaal had detractors already, there were enough positive results to put a lid on the criticism. Seven gameweeks into the new season, in the month of September, the club found themselves on top of the Premier League table for the first time since Sir Alex Ferguson’s retirement. This was to last for the grand period of seven days though, as they were poleaxed by Arsenal in a 3-0 mauling at the Emirates Stadium the very next week to crush any optimism that was beginning to build up about the Red Devils’ season. The defeat to Arsenal was the tipping point for Manchester United. They followed it up with a victory against Everton, who have turned out to be their whipping boys this season, with the Toffees beaten by United in all three of their games. However, after the win came a series of low scoring encounters including goalless draws against Crystal Palace, Manchester City and West Ham. This was when the criticism against Van Gaal’s low-risk, possession-based tactical approach really started picking up steam. The month of December then turned out to be the worst month of Manchester United’s season, as they fell to successive defeats against AFC Bournemouth, Norwich City and Stoke City in the Premier League. They also crashed out of the Champions League after a 3-2 defeat to Wolfsburg in a month which showcased their dire defensive condition and inability to grind out a victory. After a decent start to the year, they were back to losing ways as they were defeated 2-1 by minnows FC Midtjylland in the Europa League Round of 32 and by the same scoreline by relegation-threatened Sunderland. Late February marked the emergence of Marcus Rashford, Manchester United’s 18-year-old academy product who would go on to play a crucial role in big victories over Arsenal and Manchester City in the Premier League. He scored a brace on debut against FC Midtjylland in the second leg of their tie on the 26th of February, which was the only game for Manchester United all season where they managed to score more than 3 goals. Manchester United’s European dreams died at the very next stage though, and it couldn’t have come in a more devastating manner. Drawn against their old enemy Liverpool in the Round of 16, United lost the first leg at Anfield 2-0 on the 11th of March, and a week later, failed to beat the Reds at home. Liverpool had knocked Manchester United out of their second European competition on the first occasion that the two had met on the continental stage. This was the point where most people’s expectations from United took a downward curve and the club did nothing to change that. As the business end of the season called for some consistency, Manchester United embarked on a staggering, unpredictable and unconvincing dash to the finish. It looked all but over for them on the 10th of April, when Tottenham Hotspur handing them another 3-0 mauling that seemed to put an end to their Champions League hopes. However, the Red Devils miraculously found themselves with a free ticket heading into the final week of the season. Thanks to some atrocious results by Manchester City, all United needed to do to seal a fourth placed finish was defeat West Ham United in the latter’s final home game at the Boleyn Ground. They didn’t. In the end, Manchester United’s position on the table is an inaccurate reflection on their season. Finishing with the same points as Manchester City would suggest that the two cross-town rivals were on the same level throughout the season. This was certainly not the case from a goalscoring perspective, reflected in the disparity between their respective goal differences. The Red side of Manchester ended up with a goal tally of 49 goals, their lowest since the 1989-90 season and just one more than 17th-placed Sunderland. Defensively, Manchester United have banked on the much improved Chris Smalling, but questions remain about the efficacy of Daley Blind as a centre-back. 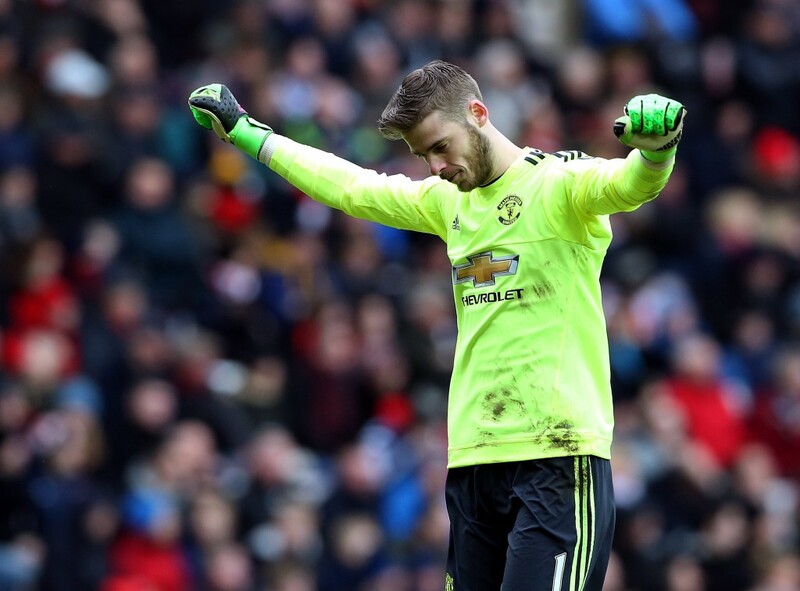 The Red Devils ended up with the joint league lowest number of goals conceded, but that was also thanks in large part to the sheer brilliance of goalkeeper David de Gea. The Spaniard’s remarkable saves helped United save many a point, but even his moment of glory was robbed at the last moment after Chris Smalling scored an own goal in the Red Devils’ 3-1 victory over Bournemouth in their last match to deny De Gea the Golden Glove. The campaign ended with a blast rather than a whimper, and the fact that Manchester United are now 12-time FA Cup winners will give some solace to supporters. 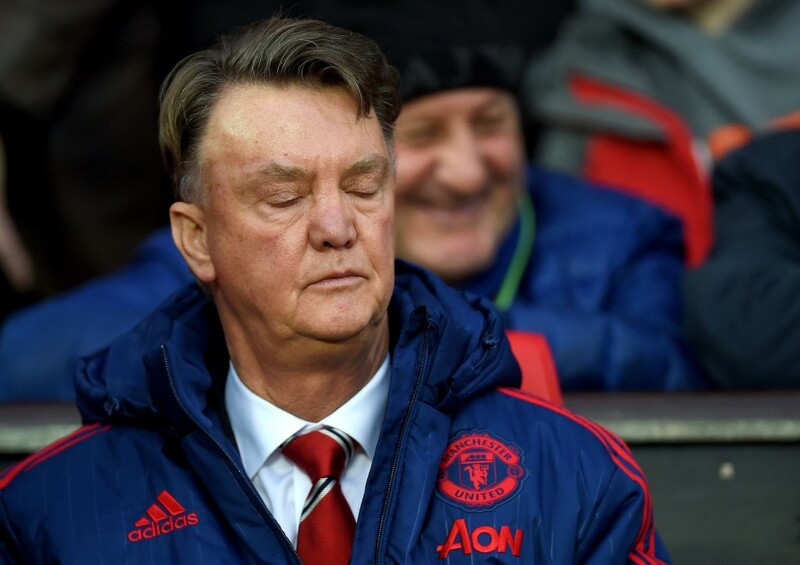 The subsequent events at the club seem to be cause for even more cheer, as under-fire manager Louis van Gaal was sacked after 2 full seasons in charge at Old Trafford. The criticism of the Dutchman combined with a lack of results meant he was relieved of his duties within 48 hours of winning his first trophy at the club in a dramatic end to a season that generally lacked much excitement. It was a season that promised much for Louis van Gaal’s red army, but after a campaign that saw them fail to qualify for the Champions League and look nothing like the world class team they were expected to be, it turned out to be the Iron Tulip’s last in charge at Old Trafford. With their former nemesis Jose Mourinho having been confirmed as the new manager, Manchester United will look to move past the debacle that was 2015-16 and focus on getting back to the top where a club of their stature surely belongs. The saviour of Old Trafford is the only reason Manchester United have been able to claim a spot in the top six. The Spaniard has been absolutely top class in goal, even as the defence in front of him could be described as inconsistent at best. Chris Smalling put in some good performances at the back, but the rest of the team’s defending was woeful at times. Whether it was pulling off a spectacular double save to deny Liverpool at Old Trafford, or making goal-line saves in the Champions League against CSKA, De Gea was simply phenomenal for Manchester United. After being recognized for his brilliance at the end of the campaign, DDG has now won the Manchester United Player of the Year award for three consecutive season and he is surely the foundation upon which the club’s future must be built. As far as debuts go, this is one for the ages. 28 minutes after coming on, a 19-year-old, relatively unknown French forward who cost £32 million scored in one of the most high profile encounters in European football. It was by far the best moment for Manchester United this season, as Martial dribbled his way past the Reds’ defence and slotted it home past a hapless Simon Mignolet.